We have 3 guests online. Let's celebrate 20th Birthday together! 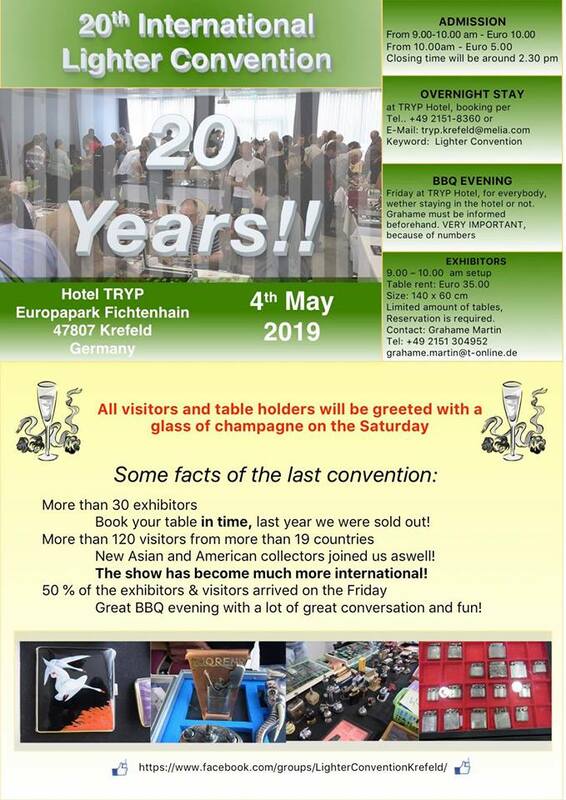 May 4th, TRYP Hotel Krefeld, Germany. Enquiries to grahame.martin@t-online.de or phone +49 2151 304952. Click the thumbnail to enlarge or details button for more info. Make sure not to miss this one! 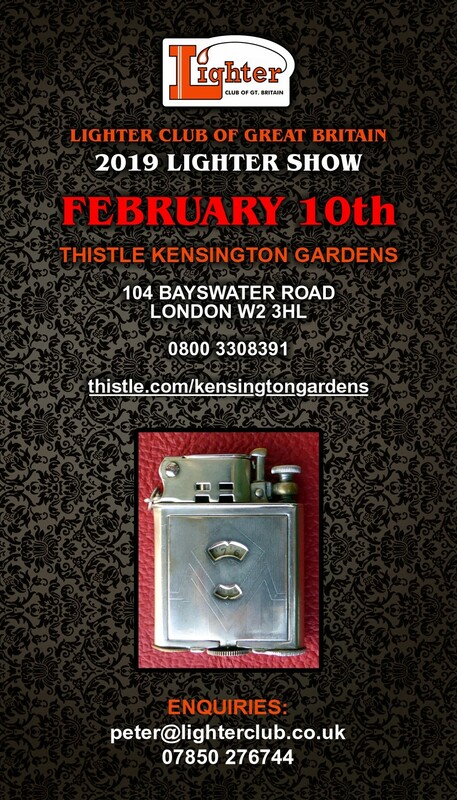 February 10th, Thistle Kensington Gardens, London. 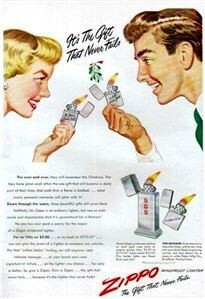 Please send enquiries to peter@lighterclub.co.uk or phone 07850 276744. 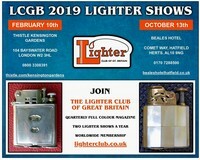 The Lighter Club of Great Britain is having two lighter shows in 2019. The LCGB Swap Meet 2019 will happen on February 10th. 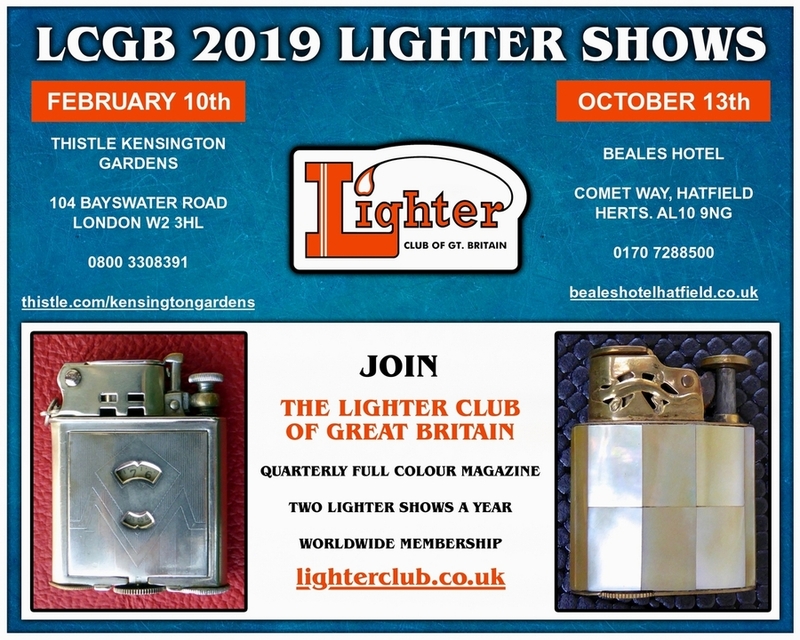 The LCGB Convention 2019 will be held on October 13th. We are welcoming everyone to make us a visit. More detailed info in the Upcoming Events section soon. 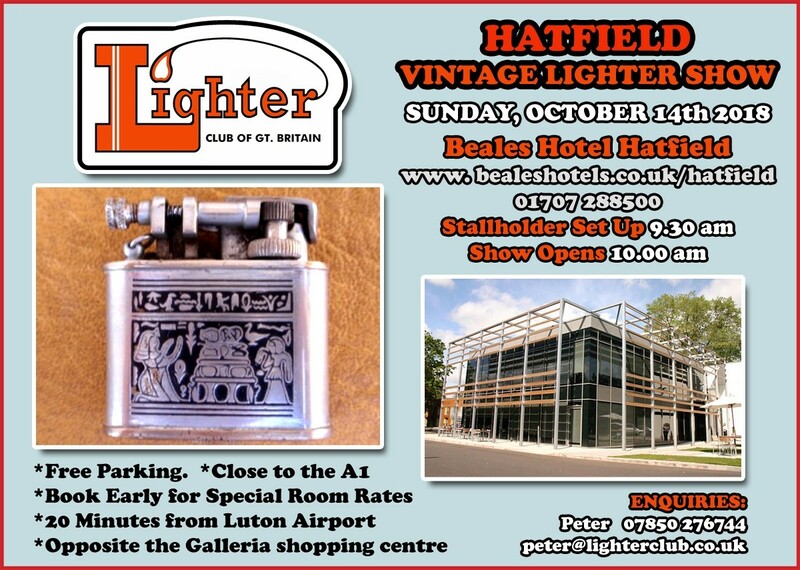 Book your calendar for the greatest vintage lighter show in the UK! October 14th at Beales Hotel Hatfield. Check out the last year Convention Gallery.